Poison My Pretty…somehow I keep hearing the WW from the East in my head when I read those words, but that's probably just me because I'm obsessed with her flying monkeys. Welcome to February 16'th, peeps. We have a new release to talk to you about today. 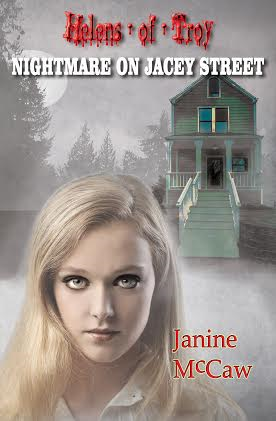 It falls into the Paranormal Cozy Mystery genre. It's POISON MY PRETTY by Amity Allen. As soon as Poppy Parker turns 21, the star of a popular TV show about witch detectives discovers she has supernatural powers off the set as well as on. When the show is canceled, she returns home to figure out how to harness the magic brewing inside her. Freaked out by these recent paranormal gifts, Poppy just wants to fit in, so when she’s asked to serve as a judge for the annual Bloomin’ Belles youth beauty competition she readily agrees. But when the pageant’s snooty director drops dead and Poppy’s friend is arrested, the former TV sleuth sets out to uncover the real killer, only to find…the business of beauty can be deadly. “Yes, but you know how it is. The show must go on! Surely you can’t be that surprised.” I was only beginning to understand the importance of these competitions to their participants, and I could picture pageant moms dragging their glitzed-up toddlers over the dead bodies of fallen competitors. The way zombies climbed over each other to get to the top of the pile in movies—only prettier. “Are they sure it was a murder? She didn’t just have a heart attack or something?” I could hear the anxiety creeping into Mads’ voice, and I didn’t blame her. Our little town was supposed to be safe. Murders didn’t happen here. That was the sort of thing that happened in the city across the bridge, not in our sleepy little bedroom community. Amity grew up reading every mystery she could get her hands on, burning through everything by Agatha Christie in record time and wanting to be Nancy Drew when she grew up. After writing books in other genres for the past few years, she's finally come home to her true love - cozy mysteries. Amity and her husband live in L.A. (lower Alabama) with a houseful of teenagers and a half dozen pets. Besides books, Amity's favorite things are football, needlepoint, fried shrimp, and sweet tea. Text MYSTERY to 24587 for new release alerts. Amity came to us today via Bewitching Book Tours. Supernatural Central did not receive anything for this promo.